The AEM30940 is an integrated energy management circuit that extracts DC power from a piezo generator, a micro turbine generator or any high frequency RF input to simultaneously store energy in a rechargeable element and supply the system with two independent regulated voltages. The AEM30940 allows to extend battery lifetime and ultimately eliminates the primary energy storage element in a large range of wireless applications such as industrial monitoring, home automation, transportation and smart agriculture. The AEM40940 is an integrated energy management subsystem that extracts AC power from high-frequency RF inputs to simultaneously store energy in a rechargeable element and supply the system with two independent regulated voltages. 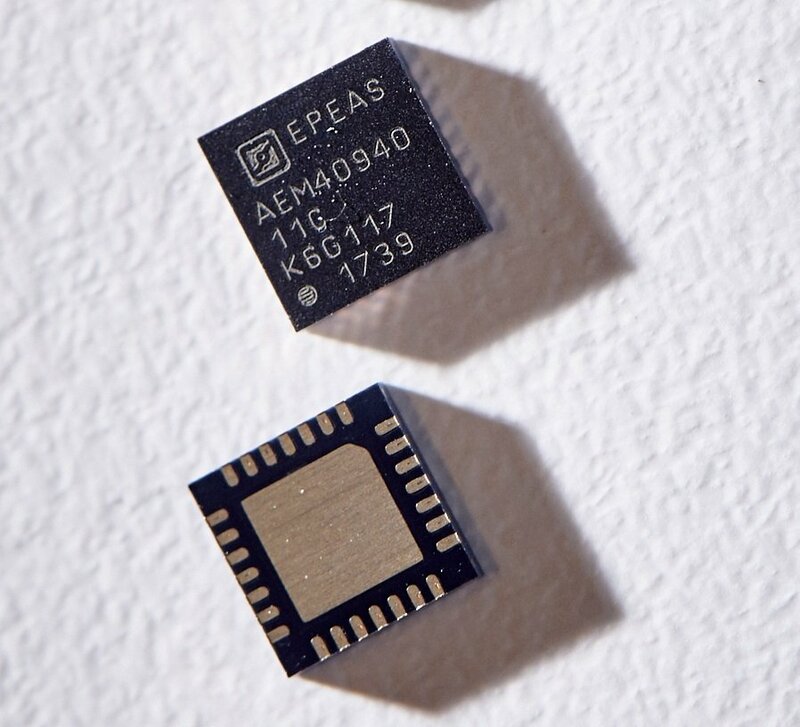 The AEM40940 allows to extend battery lifetime and ultimately eliminates the primary energy storage element in a large range of wireless applications, such as industrial monitoring, indoor geolocation, home automation, e-health monitoring and wireless sensor nodes. Application boards are available for each chip products. Please download the respective data sheet for more information.